How to Produce Emulsified asphalt? - GlobeCore Bitumen Emulsion. 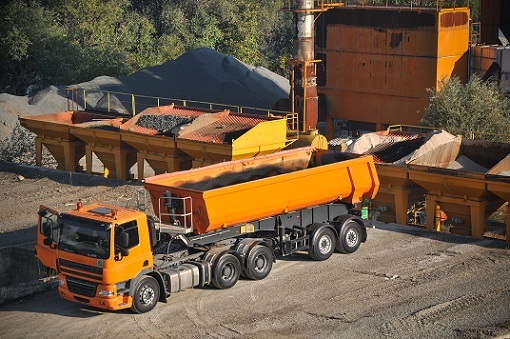 How to Produce Emulsified asphalt? GlobeCore Bitumen Emulsion. / Publications-en / How to Produce Emulsified asphalt? This kind of bitumen was invented by French scientists. The first practical application of this substance dates back to 1920th. Emulsified bitumen discovery helped with many difficulties that arises when using bitumen: high viscosity and heavy expenditure, atmospheric pollution and power consumption during heating. Emulsified bitumen is a highly dispersed substance consisting of bitumen and water with added special emulsifier. This emulsifier helps the emulsion maintain its stability.. Emulsified asphalt has low viscosity. This allows using emulsified bitumen as film, membrane or cementing (bonding) material. Due to these qualities emulsified bitumen can be used both on macadam and asphaltic surfaces. Emulsified bitumen is characterized by brown color and creamy consistency when it contains 40 to 80% of bitumen. The diameter of bitumen drops is 0.1 to 20 µm. After mixing a water mixture, bitumen is supplied into a colloid mill. Sometimes a dissolver is added too. SBS-polymer or latex can be used as an additive in emulsified asphalt. Because latex can cause clogging inside pipes and pumps – a special dosage equipment is used for it. Prior to supplying bitumen into a colloid mill it is necessary to reduce its viscosity (not exceeding 500 cSt) by heating it to 110-160ºС. Water mixture is heated as well to 30-70ºС. During production the temperature should not get higher than 100ºС (with recommended temperature 85-95ºС). The gap between temperatures of emulsifier solution and bitumen should be as little as possible. Bitumen temperature should be high, otherwise it will not get pumped over. GlobeCore offers bitumen plants of different productive capacity. UVB-1 plants are used for emulsified bitumen production on the basis of anionic and cationic emulsifiers. Emulsified bitumen is produced on this equipment in a semi-automatic mode. GlobeCore specialists can do all the adjusting and start-up procedures and give operating and safety maintenance instructions.